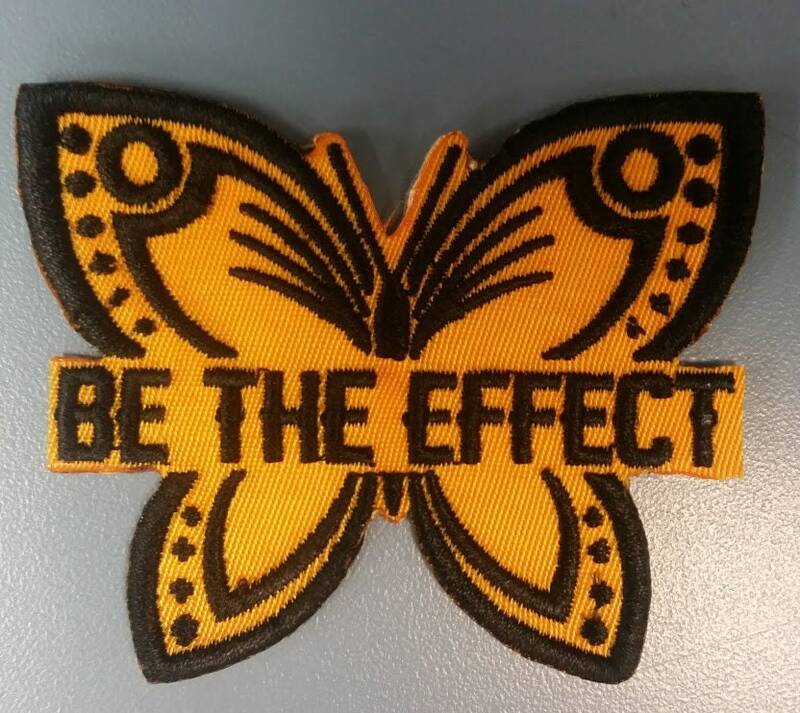 This applique design is sewn onto a yellow-gold patch background. 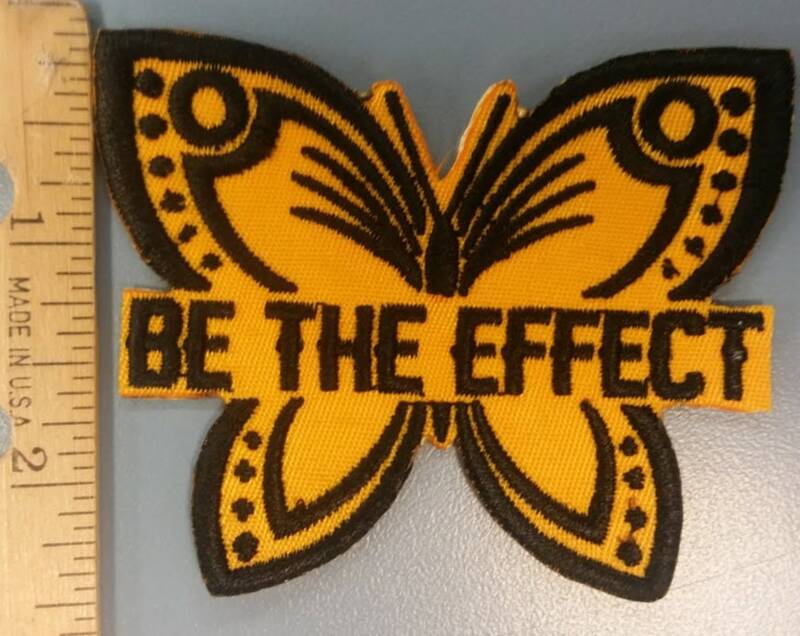 It is sewn with black thread and says Be The Effect. 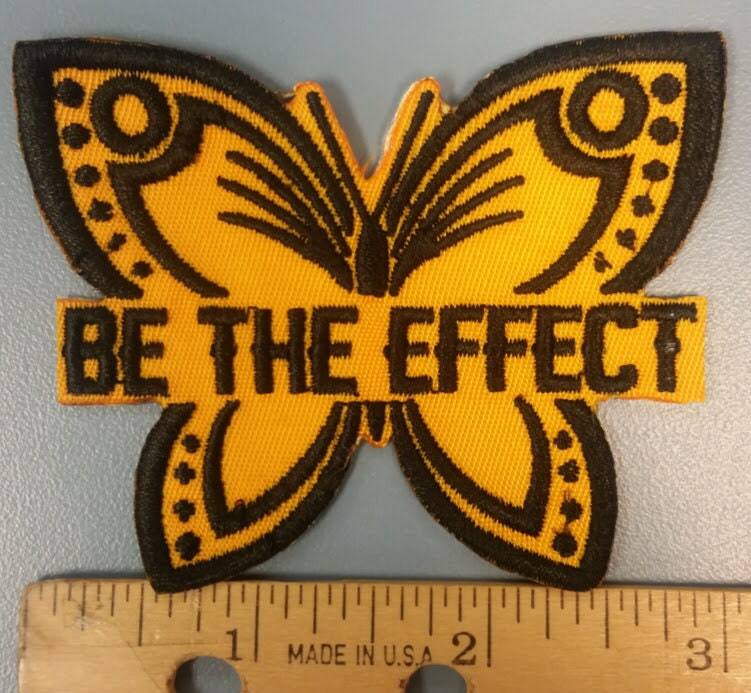 It measures approximately 3"W X 2.5"H. It is coated with an iron on adhesive to help with application. If you would like a different color scheme, message me and I'll see if I am able to do your request. It arrived promptly and perfectly intact thank you so much! I’m very excited to use it!